1. 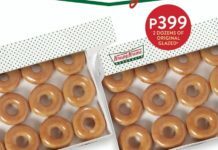 Get the 2nd dozen pre-packed donuts for only P120 upon your 1 dozen purchase and save as much as P135! 2. 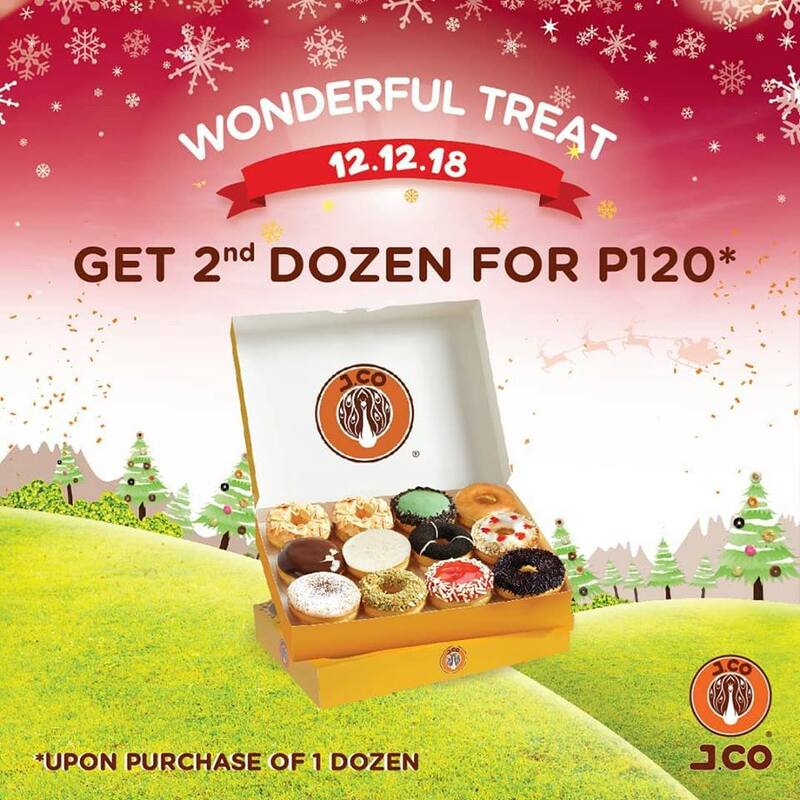 This promo is valid on December 12, 2018, from 10am to 6pm only in all JCO stores nationwide. 3. Each customer can only avail this promo once for a maximum of 2 dozens. 4. 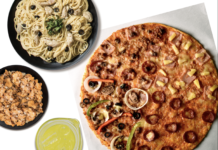 1 dozen pre-assorted flavors: 2 pcs Alcapone, 1 pc Meisisipi, 1 pc Katy Berry, 1 pc Mr. Green T., 1 pc Oreology, 1 pc Glazzy, 1 pc Berry Spears, 1 pc Avocado di Caprio, 1 pc White Desert and 1 pc Don Mochino, 1 pc Tiramisu. Splitting of boxes is not allowed. 5. 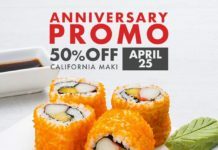 This promo is valid for dine-in and take-out transaction only. Any advanced orders or bulk orders on the day of the promo will not be allowed. 6. The promo cannot be exchanged for other items or discounts and cannot be used in conjunction with other promos. In the purchase of goods and services which are on promotional discount, the senior citizen can avail of the promotional discount or the discount provided under the Expanded Senior Citizens Act of 2010, whichever is higher. In compliance to, Section 4 of R.A. 9994, otherwise known as the Expanded Senior Citizens Act of 2010.